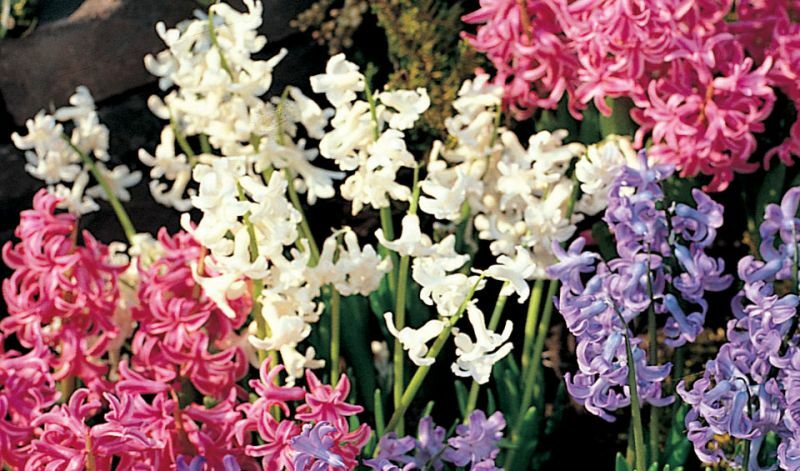 Bulbs bearing this label have undergone a special treatment so that they will yield several flower clusters per bulb instead of just one. Each flower stalk has fewer florets but the plant is very lovely and quite unique nonetheless. (Note: the commonly used name 'multiflora' is botanically incorrect since this plant is not a different species). In flower beds and borders. 'Blue Festival', 'Pink Festival' and 'White Festival'.